Now that the summer is here, I try my hardest not to turn on my oven which means more salads! I thought I would make this simple salad a bit more special by pickling some red onions. I never tried to pickle anything before but wanted to give it a try. How hard could it be?!? 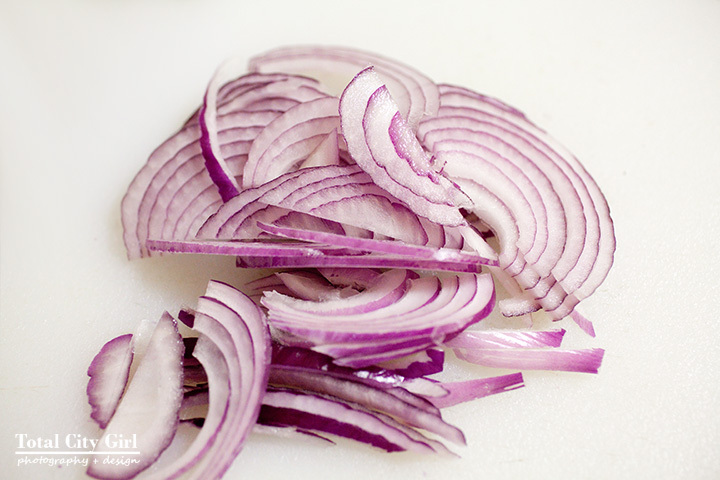 I took about a quarter of a red onion and sliced it thin. 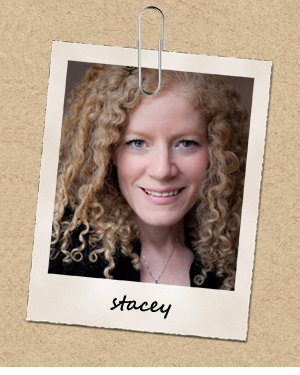 I put the slices in a strainer and poured about 2 cups of boiling water over them. This softens the onions a bit and mellows out the onion flavor. 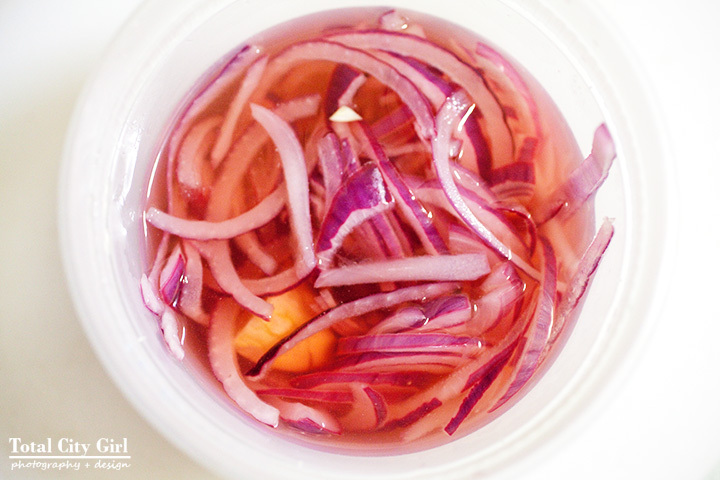 In a glass or plastic container put 1/2 tsp kosher salt, 1/2 tsp sugar and 3/4 cup vinegar If you don’t want the onions to change color, use a white wine vinegar. I didn’t have any on hand but did have red wine vinegar so I used that. For more flavor I also added a clove of garlic. Mix it all together and add the onions. Cover it up and refrigerate for at least half an hour. 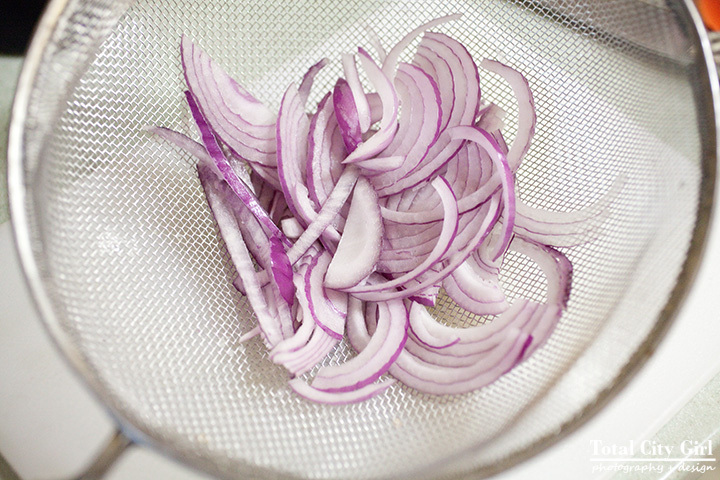 While you’re waiting for the onions to pickle, you can start on the other ingredients. 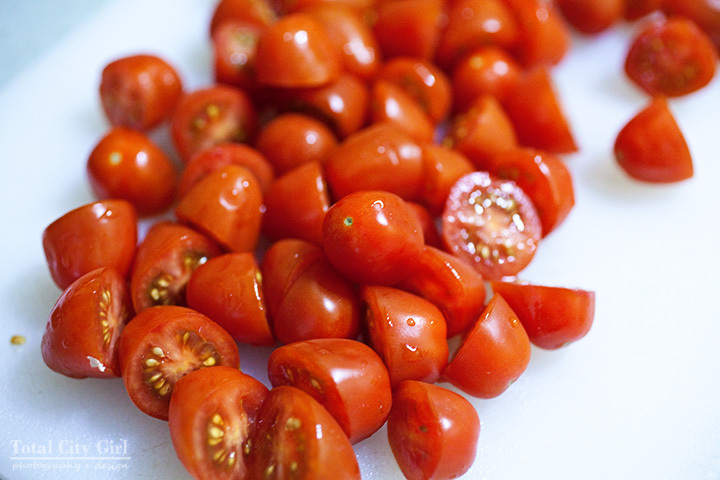 I like the sweetness of grape tomatoes so I use them but you can use any tomato in this salad. I cut a bunch of grape tomatoes in half. 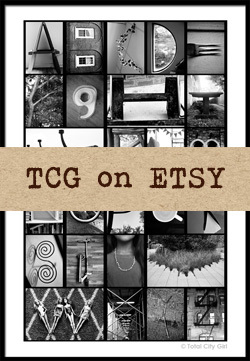 Use as many as you like. Next up is the cucumber. I like to use the English cucumbers which are the extra long ones that come wrapped in plastic wrap. The skin is much thinner than a regular cucumber so you can eat it and there are less seeds. 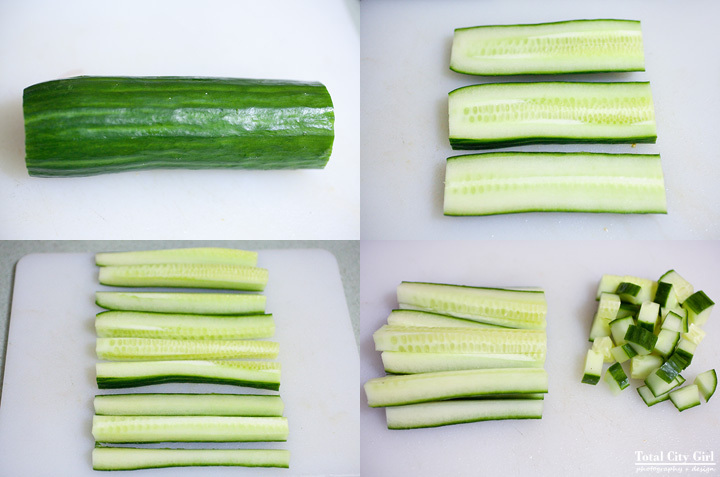 I used half a cucumber, sliced it in thirds lengthwise, then each third into strips, then each strip into small bite size chunks. 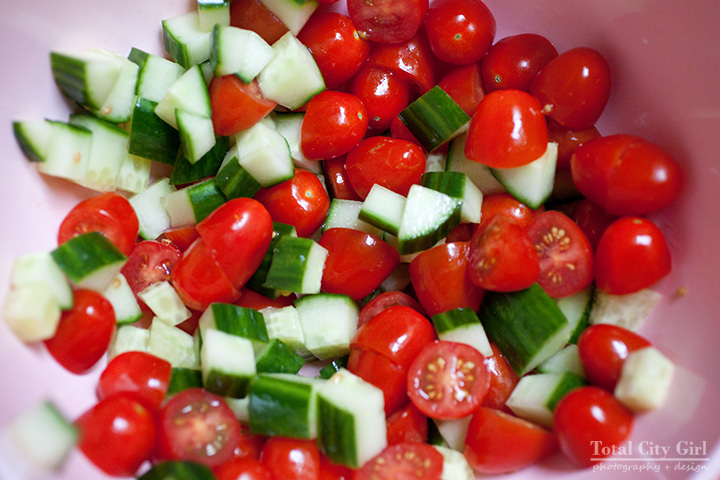 Mix the tomatoes and cucumber in a bowl. We’re almost done! What herb goes best with tomatoes? Basil! I love it! 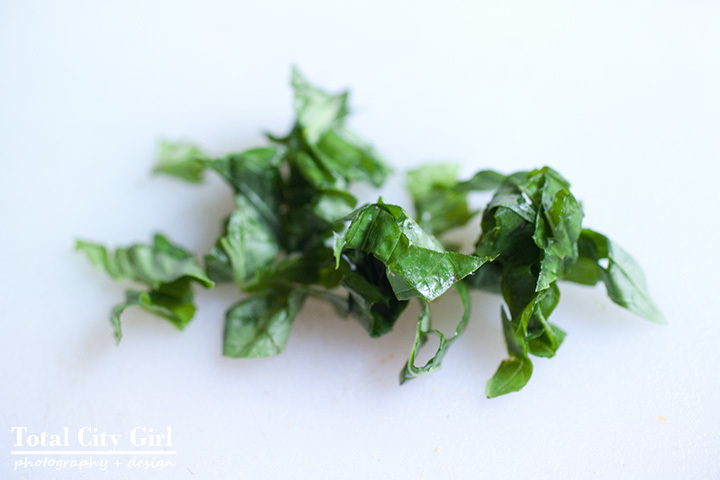 Take a few leaves of FRESH basil and tear them up and put them in the bowl. 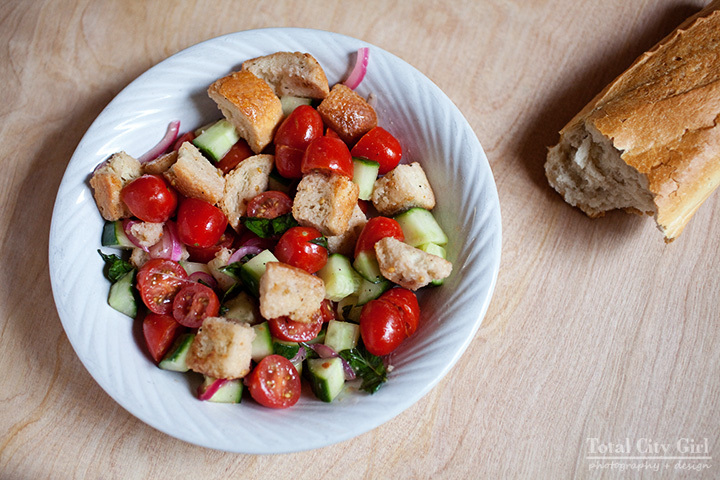 You can’t have Panzanella salad without bread. UH bread! I love you so! I decided to lightly toast up some french bread that I had. I almost always have a baguette in my kitchen! I didn’t want to make garlicky croutons this time like I do with some other salads. I just wanted the bread to be lightly crunchy on the outside and still a bit soft on the inside and just seasoned with some kosher salt and pepper. 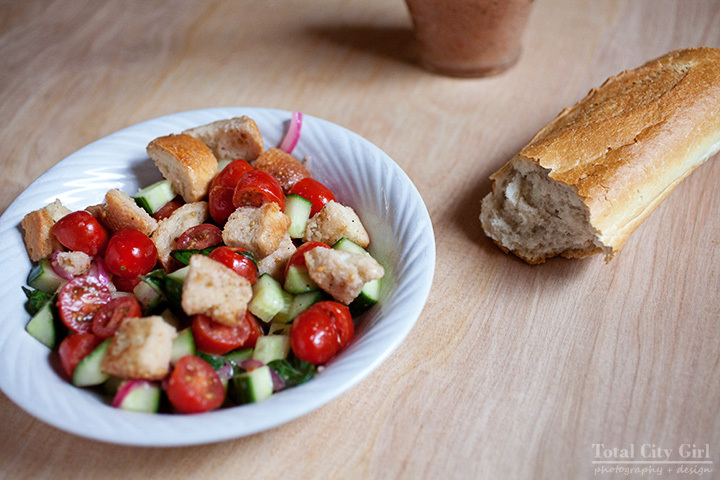 I want the bread to soak up the juices from the tomato and the dressing. 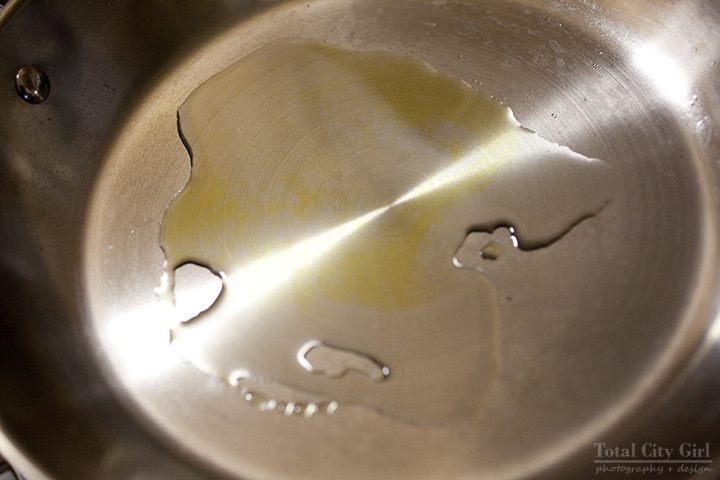 In a pan I heated up some canola oil with a touch of olive oil. 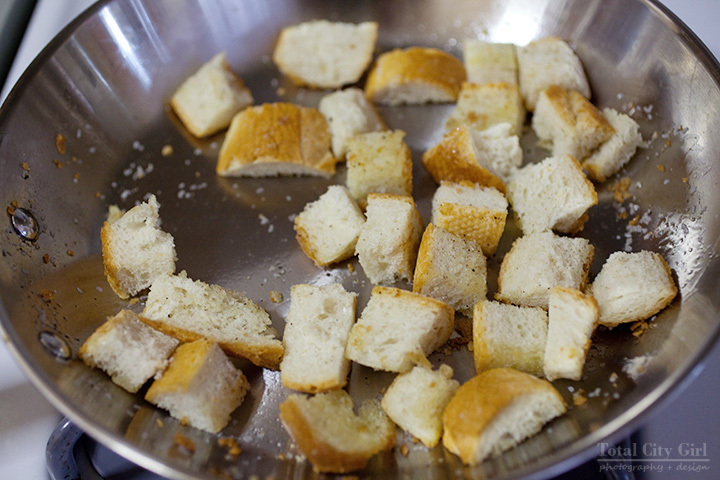 I cut some of the French bread into chunks and added it to the hot oil to toast them up a bit. Once it was done I let it cool slightly and then added it to the bowl. By this time my onions were ready so I added a few of the pickled onions into the bowl as well. I mixed it all together with my favorite Good Seasons Italian dressing and I was ready to eat! The bread was taking on the flavors of the tomatoes and dressing – just like I wanted. So good! The pickled onions added that perfect little pop of flavor! You can use the pickled onions on sandwiches as well. 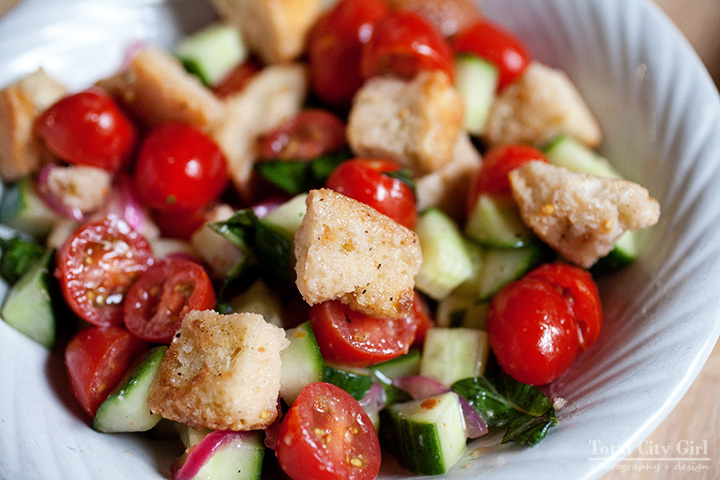 This is a perfect salad to make in the summer when tomatoes are at their best!